The second generation Tigra never enjoyed the success of the first one, but it’s an affordable route to convertible motoring. Yes, we know it rains a lot in Ireland. A lot. Sufficient to make much of the country feel like the bottom of a swimming pool on most days, but there is still something to be said for owning a convertible. On the few days when it’s sunny, it means you can commune with nature as you drive, and the world just feels better with the top down. Opel’s second generation Tigra adds a bonus to those feelings – in spite of being small and affordable, it’s also a folding hard-top, so on the 364 days of the year when the roof is up, you’ll feel snug and comfortable. The 2004 to 2009 Tigra was actually the second generation Tigra model. The first, sold from 1994 to 2001, was far more successful thanks in no small part to being a 2+2 coupé, whereas the second generation was only ever a folding hard-top and strictly a two-seater. The recipe remained the same across both cars though – Corsa mechanicals underneath, cute and sporty body up top. 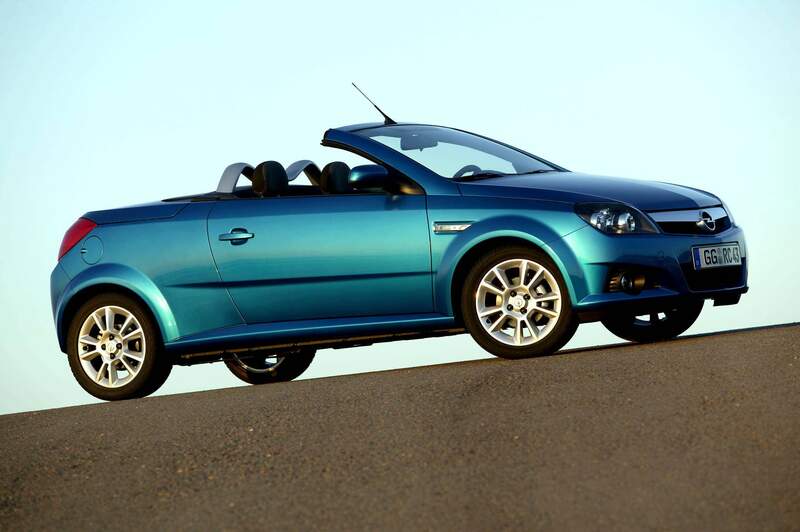 However, by becoming a convertible, the Tigra hit a number of compromises. First off is the two-seat only layout, which quite simply counts it out for most owners. Then there’s the boot – it’s a decent size, but much of the roof mechanism is actually kept in the boot lid and that can make it awkward to use at times. The handling isn’t great either – and is worse when the roof is folded away, when the car’s lack of rigidity becomes horribly apparent. Still, it does look good, and it’s not too bad on the quality front either, thanks to proven Corsa oily bits. The only major problem area is, unsurprisingly, the roof, which can leak and you need to check the folding mechanism to make sure it’s all working properly. Ireland never got the larger 1.8-litre engine option, and the 1.3-litre diesel is vanishingly rare, so most Tigras that you find will have the old 1.4 90hp petrol engine – that’s no bad thing, as it’s a willing and reliable unit. Just watch for one oddball option. Although the Tigra’s roof was a folding steel hardtop, there was an option to have it covered in fabric, so that it looked like a traditional convertible top when raised. Pointless, if you ask us, but it can make for confusion. Stick with the 1.4 petrol and buy as late a model as you can. Less than €5k gets you a 2008 model year Tigra. It was never a hugely rewarding car to drive, the Tigra, but it looks good and on a sunny day with the top down, it’s sufficiently good fun. With prices very low at the moment, it’s a bargain entry to the convertible lifestyle.